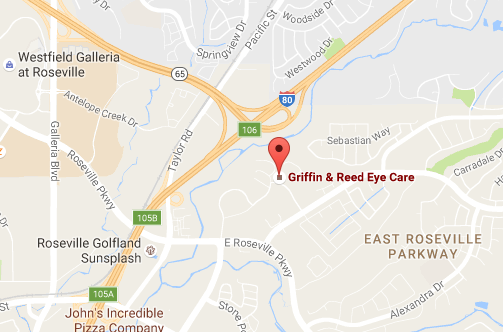 Why Choose Griffin & Reed Eye Care for Your Eye Exam? If you are looking for eye care in Sacramento or Roseville, you have many options. However, if you are looking for the highest-quality eye care in the region, Griffin & Reed Eye Care is Clearly Different from other optometry and ophthalmology practices in the area. First, we believe very strongly in The Golden Rule: Do unto others as you would have them do unto you. We apply this to every part of our practice, from scheduling appointments and keeping on schedule to giving the highest quality treatment possible. We make you our first priority. Regular eye exams are anything but routine, and when you come to our office for an eye exam, you have the full attention of our optometrists and ophthalmologists for the full duration of that exam. You will get a careful vision test with the Snellen Chart to ensure your current prescriptions are meeting your visual needs or if they might need to be adjusted. You will also get a test of your eye movement, pupillary reactions, and peripheral vision. We make sure to screen for abnormalities including color blindness, retinal changes, macular degeneration, diabetic retinopathy, glaucoma, optic nerve abnormalities, corneal ulcers, corneal infection, strabismus, amblyopia, and cataracts. We take time to ensure your exam is as thorough as necessary to give you the best vision evaluation possible. Our goal isn't to see how many appointments we can perform, but to make sure every patient gets the attention he or she deserves and needs for healthy vision. If you need vision correction, we offer a full range of options. Our optometrists and ophthalmologists have extensive experience helping patients find the best vision correction options from the modern selection in our optical shop. Whether you are looking for frames that complement your style or specialized disposable contact lenses for astigmatism or bifocal wearers, we can match your needs. 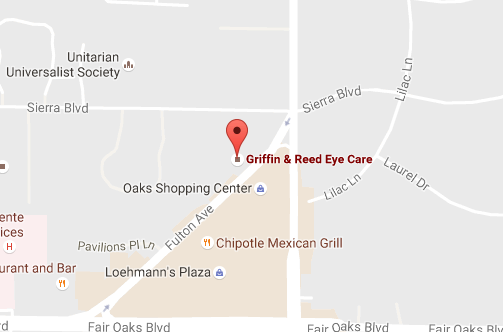 Griffin & Reed Eye Care also offers LASIK. Because we offer all these vision correction options, we have no incentive to promote one over the other. You can trust us to give you honest information on your options and let you make the decision for yourself. Your vision is our passion. Our one criterion for success is how happy you are with your vision correction results. We achieve this with the best equipment, the best materials, the best options, and a dedication to our patients. We are always happy to answer questions from our patients and help you schedule the regular eye exams you need for a lifetime of clear vision. If you have any questions about Griffin & Reed Eye Care, eye exams, or other vision-related matters, we encourage you email or call us. We will be happy to help you in any way we can. And if you want to book your eye exam with one of our optometrists or ophthalmologists at our Sacramento or Roseville office, please call (916) 485-2020 or complete the form on this page.